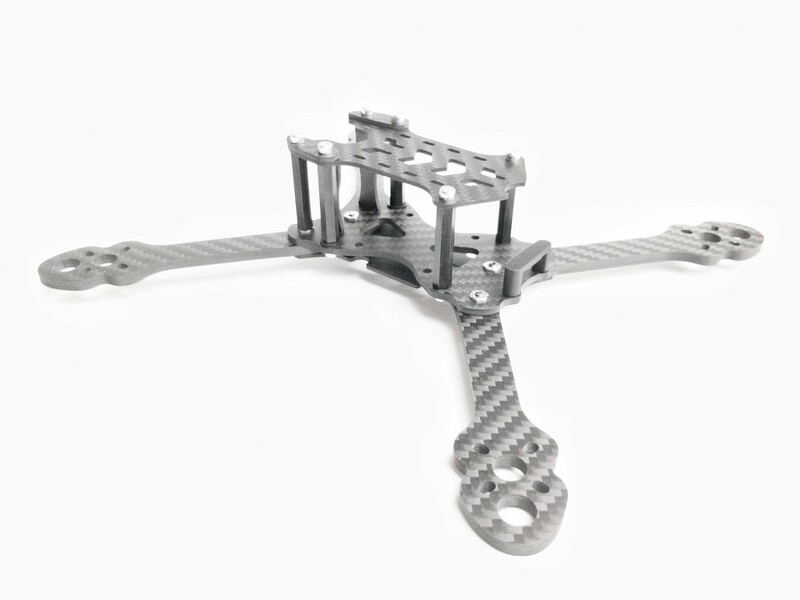 Versatile FPV racing frame for 5-inch props with removable arms and stretched layout. Evolution of popular Roman 5 frame. Designed by pro pilot Mr.Ehitaja. It has plenty of room inside to accommodate virtually any setup. 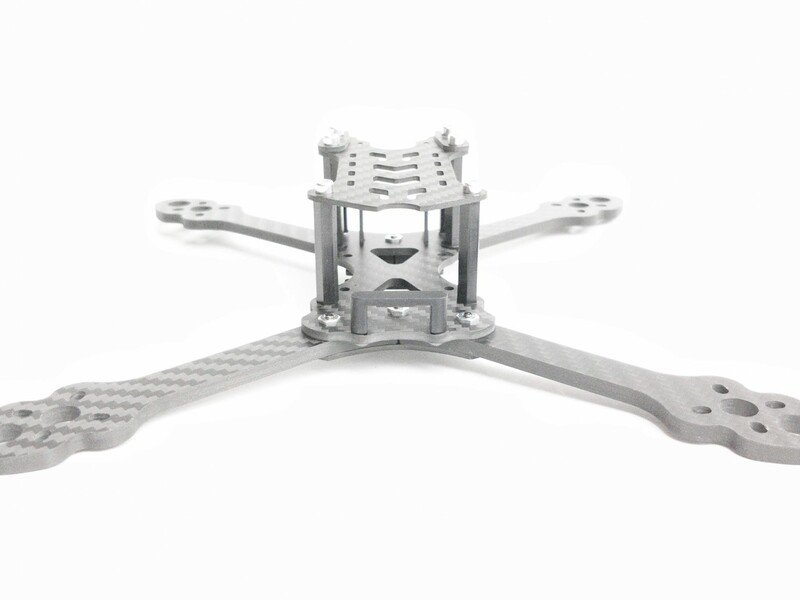 Slightly stretched motor layout gives extra stability on pitch axis and thus suits well for freestyle pilots too. 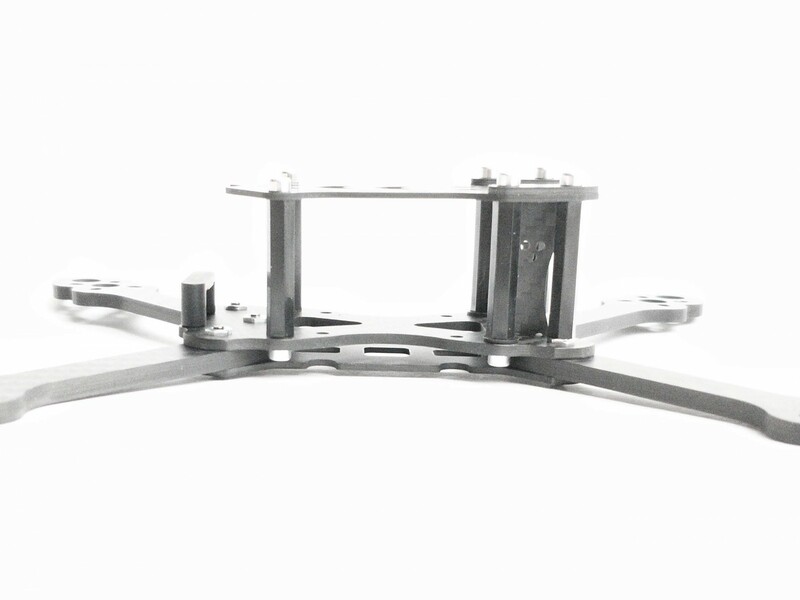 Roman 5 frames are known by durability and sophisticated layout that enables easy build and field repairs. 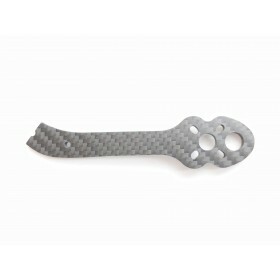 Frame comes with special hardware and nylon standoffs that are designed to be the weak points in heavy crashes. 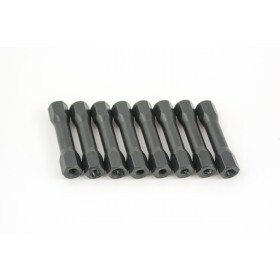 6 nylon standoffs are proven to be very durable while not adding much of weight. 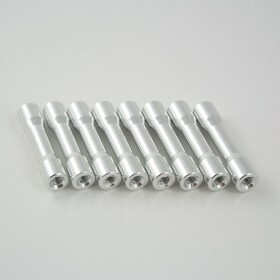 One can upgrade the nylon to heavier alu standoffs when desired (however, from durability point of view that's not really necessary). Removable arms - cut along weave, very stiff. 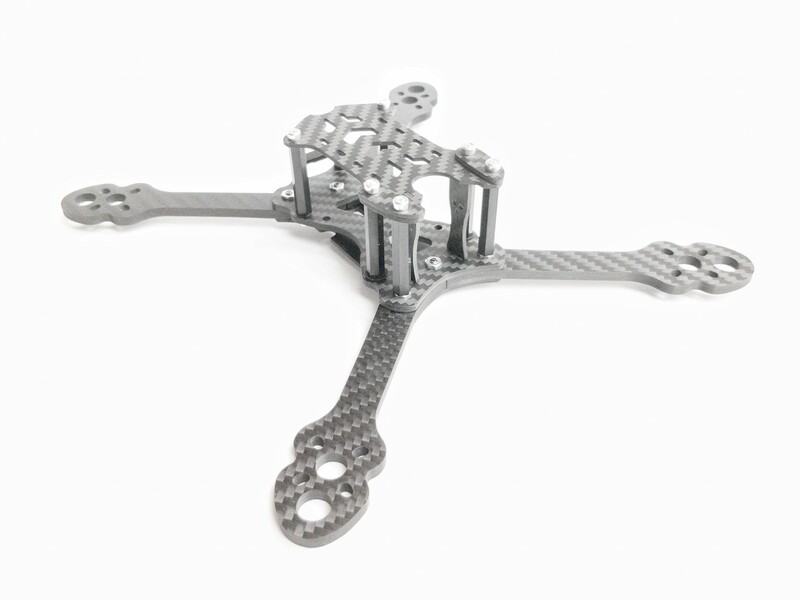 Micro sized cam compatible - carbon mount suits all Micro sized FPV cams. 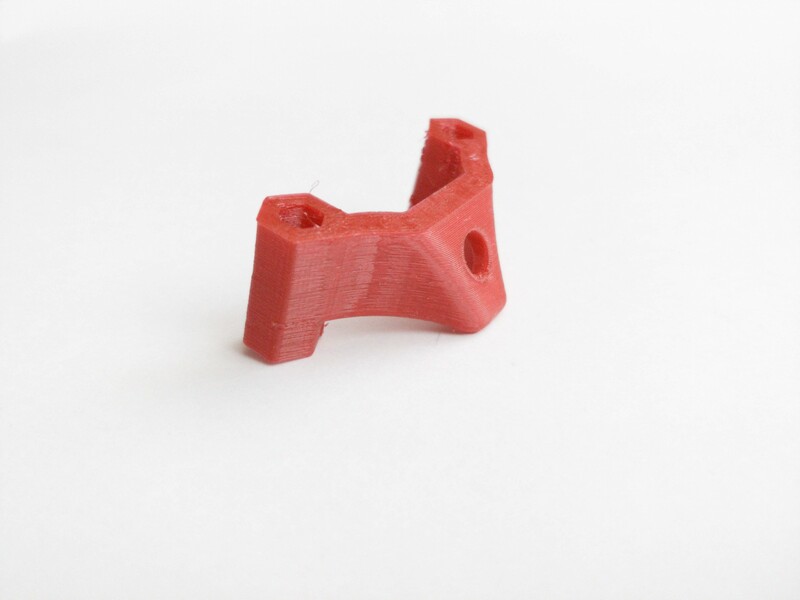 Mini sized cam compatible - mini FPV cameras fit with 3D printed camera mount. 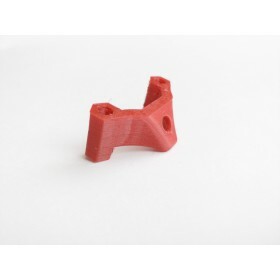 3D printed VTX antenna mount - crashproof way to mount the CP antenna without loosing range. 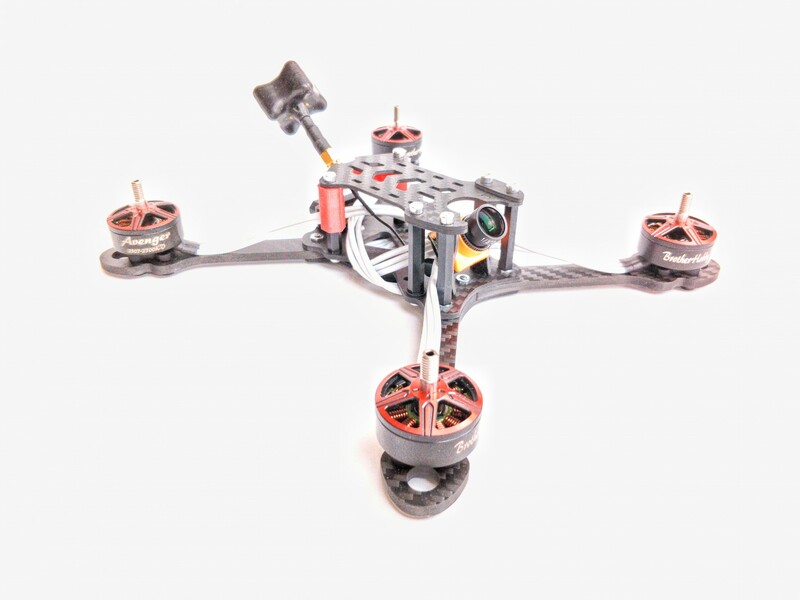 Frame weight 76g - with bundled standoffs, bolts and nuts it's now 6g lighter as compared to previous version. 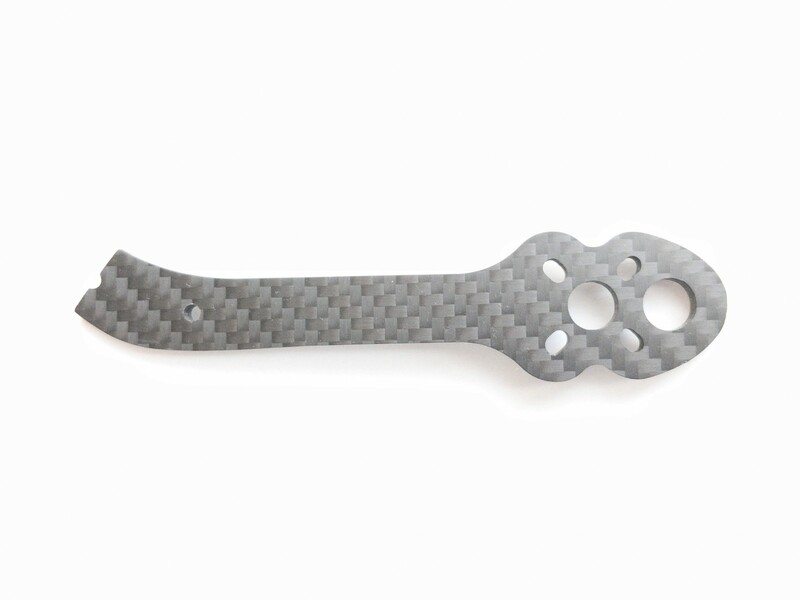 Max 5" props - M3 screw hole mount pattern for most 22xx / 23xx motors. 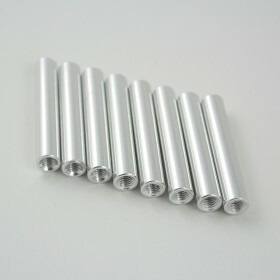 30x30mm electronics - max stack height 30mm. NB! 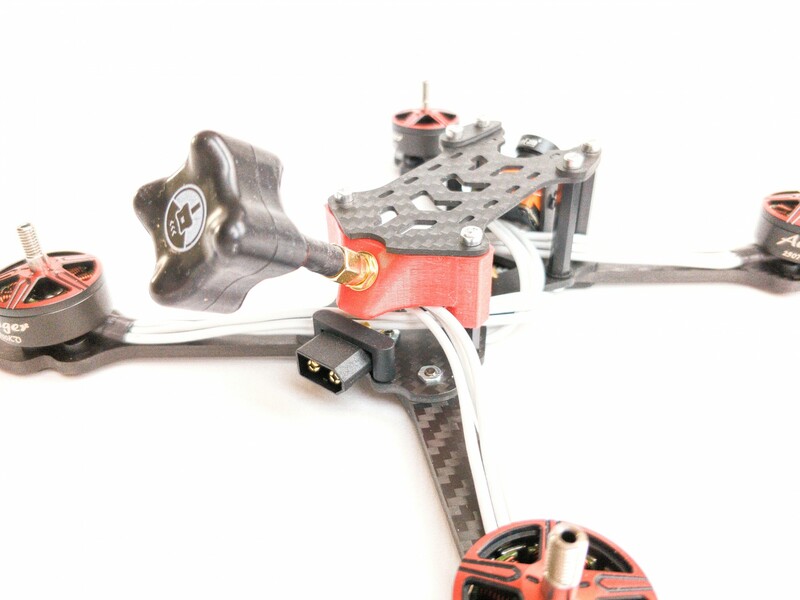 motors, camera, antenna and 3D printed antenna mount shown on pictures are NOT included.